Discover strategies for leveraging TI-Nspire™ CX and TI-84 Plus CE graphing calculators to increase student engagement and improve learning outcomes. The webinar presenters will share examples of student work in eighth grade math, algebra 1, geometry and precalculus to illustrate the discussion on strategies that motivate and facilitate student performance. Participants will receive a Certificate of Attendance, which may qualify for school or district professional development credit, after the webinar. 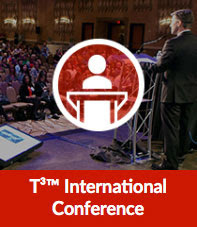 Join the webinar presenters for a hands-on Power Session at the 2018 T³™ conference. You'll discover exciting new ways to get the most out of your instructional time while exploring research-based strategies for effective questioning, pacing, assessing and sequencing.